The NY Daily News reports this morning that the state is failing 61 high-poverty and 4 low-poverty city elementary and middle schools. The state hasn't released the list of failing city high schools yet. That list will come next year. To be fair, the state did expand the testing criteria that was used for judging schools and offered that as an excuse for why more city schools were added to the failing list this year. 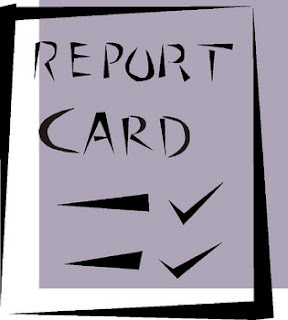 The report is a sting to Bloomberg and Schools Chancellor Joel Klein, who have trumpeted improvements in test scores and graduation rates as proof that their sweeping school reforms are working. Many of the schools the state judged to be failing did well on the city's new and controversial school grading system. Of the 65 schools added to the list, nine earned an A from the city, 21 earned B's and only four earned an F.
Anybody notice a trend when it comes to these statistics? When Bloomberg and Klein control the lists, the stats, the report cards and/or the testing methodologies, the city does wonderfully and Bloomberg's education reforms are helping kids make progress. Yet when the state judges the same schools that Bloomberg and Klein handed "A's" and "B's" to, many of them are listed as failing. And then there are the graduation rate accounting methods Bloomberg and Klein use - simply don't count the kids who don't graduate and the city graduation rates skyrocket! Hmmm- looks like Bloomberg and Klein brought their own Houston Miracle to New York City. "You Can Clap for Teachers, That's Good"
Now That's A Pep Talk! Documents? We Don't Need No Stinking Documents! What Do We Do With All That Extra Money? What Do They Do All Day in UFT HQ?